Well-Behaved or Scared to MisBehave? Although correction-based training will usually get good results, it might leave you with a dog that’s “shut down”, find out why this happens and how to prevent it. Not all dog walks are created equal. An adequate walk can be the difference between a dream dog or a nightmare! Find out how to do it right. Guest Blog Post by Eleven Year-Old Gabe Owen! Want to know lots of fun facts about dogs from one great kid? Dog Park Distaster: Why Do So Many of Us Never Go Back? So many behaviours go unchecked in off-leash areas and it often scares away new dog owners. Read on to find out why. Is Getting a Puppy a Safer Bet Than Getting a Rescue? There are no guarantees when it comes to dogs. Learn about the mistakes we make when choosing and training our puppies. The Journey to Here: Guest Blog Post by Katie Virtue…Enjoy! Katie VIrtue tells you what it’s like working with a reactive Great Dane (not easy), in a heartfelt, honest and touching testament to the power of positive training. Enjoy! 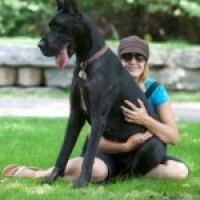 Are There More Aggressive Dogs Than There Used to Be? It seems like every day there’s a story in the news about a dog bite. 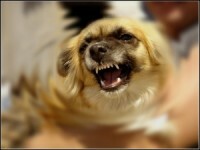 Are there more aggressive dogs now than ever before? Read on to find out. Read this week’s blog to find out how Speeding tickets relate to the principles of behaviour…interesting stuff!